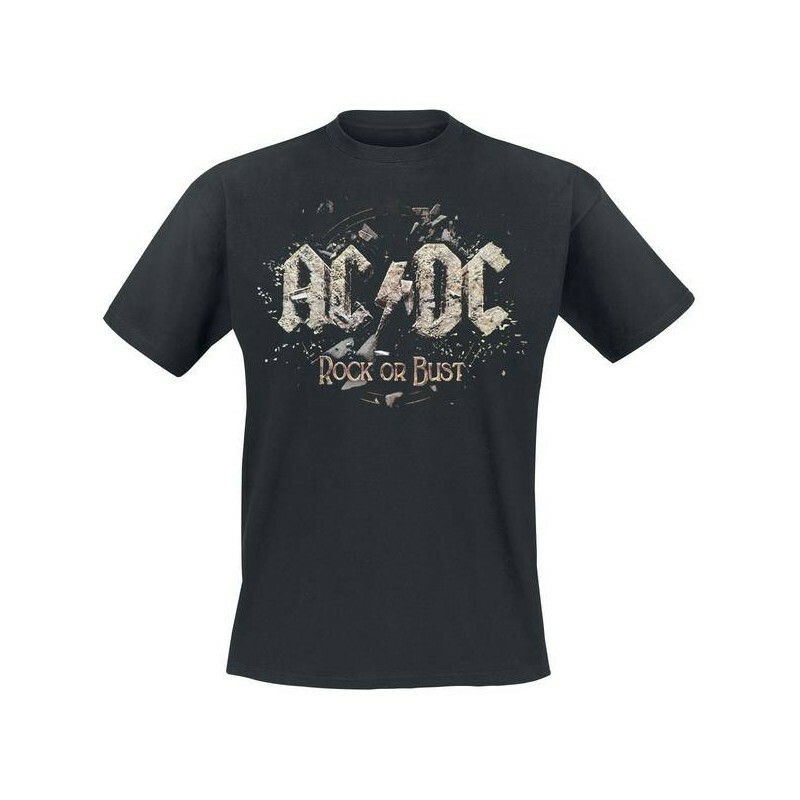 AC / DC - Rock Or Bust t-shirt with short sleeves. 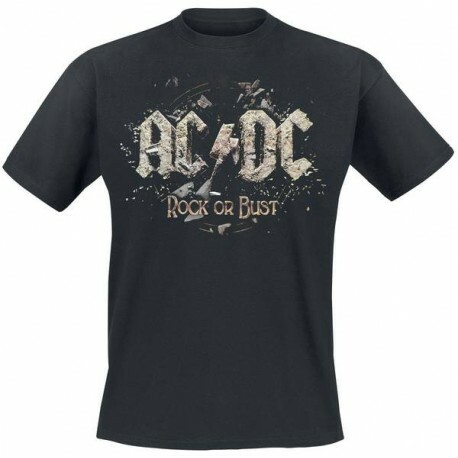 On the front it printed the Rock Or Bust album image and on the back it write Rock Or Bust. 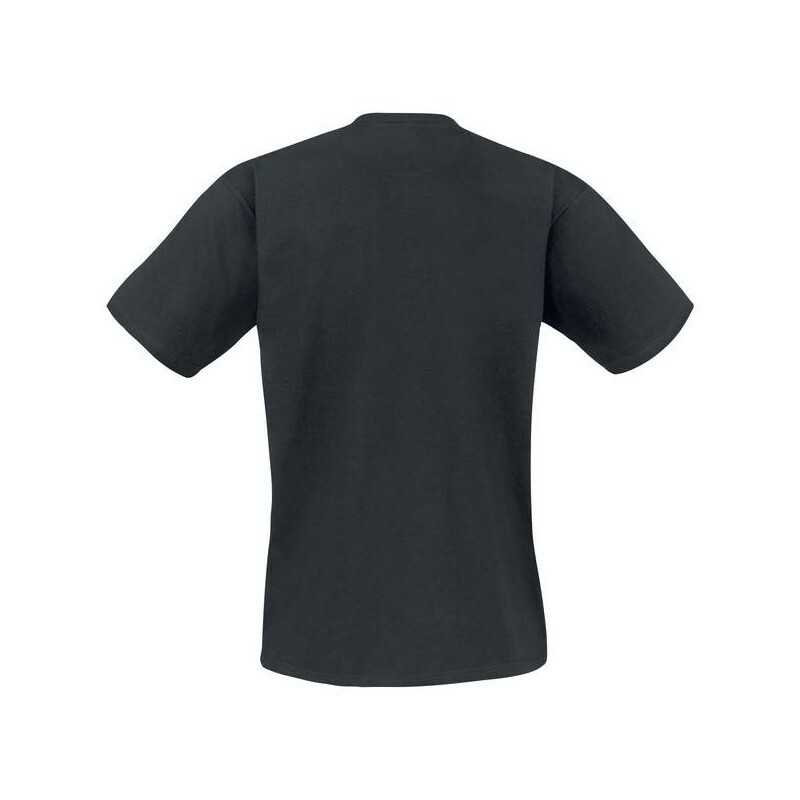 Material t-shirt: 100% cotton.